My initial impression was of honey and aromatic herbs or spice. My companion's first impressions were buttery and vanilla; a taste like like a dessert wine without the sweetness. The wine changed rapidly after opening in the relatively thick though still clean air at sea level in Brighton but kept its distinctive grapefruit nose. Gigondas 1996, Domaine Sainte Lucie, récoltant Marc Alexandre. Classic Gigondas tangy red with a good full nose despite having been kept for longer than average for a Côtes du Rhône. My companion identified a musty air typical of older Gigondas but this bottle had not gone thin or cardboardy. Châteauneuf-du-Pape 2000 - Caves Saint Pierre, Sorgues. 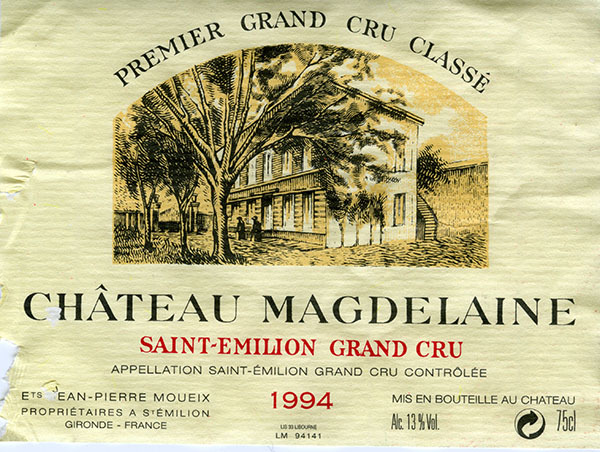 Médaille d'or Macon 2001. A well-kept bottle of the classic appellation (Grenache, Cinsaullt, Syrah, Mourvédre) which my Father bought in October 2002. We drunk it pretty much at its prime. Beaujolais 2016 still ripening in the second week of September on sparsely-fruited and rather straggly-looking vines near Fleurie church. This year’s harvest at Fleurie looks to be disappointing in volume as well as relatively late because of the hailstorms earlier this year. 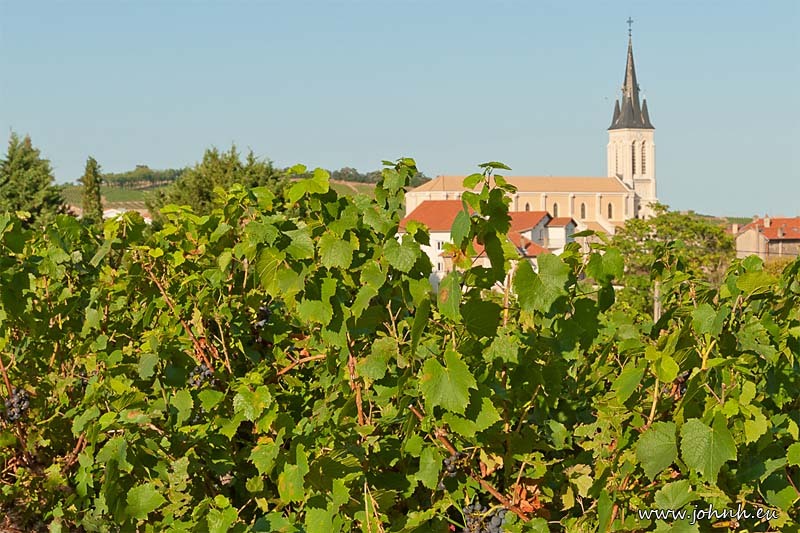 An enjoyable short stay in the region enjoying a couple of gourmet dinners with wines from Clos de la Tour 2013, Les Moriers 2012 and a taste of the Beaujolais Blanc, Château Pizay 2014. A Michelin-listed restaurant is not the place to make detailed notes but it was remarkable how much difference there was between the two wines of successive years and from the same village, ie the same Appellation Contrôlée. Always fun to travel in an area where the road signposts read like wine lists but particularly enjoyable to revisit Fleurie village as I had pitched tent for a night halt on a motorbike trip back in 1983 or 4, in what was then the municipal camping.